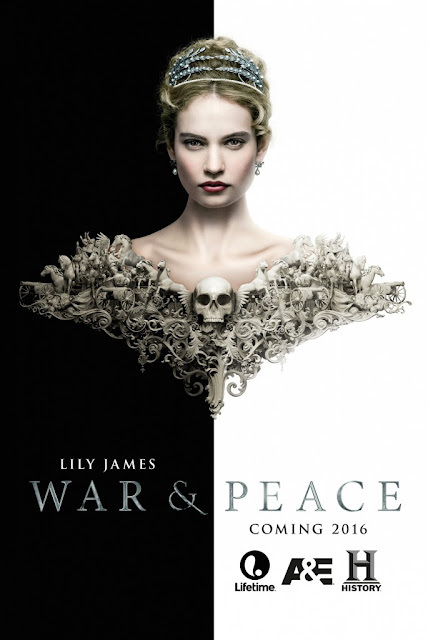 Delicious Reads: War & Peace, a BBC TV Miniseries, Coming January 18! War & Peace, a BBC TV Miniseries, Coming January 18! I'm not sure when Leo Tolstoy wrote War and Peace or Anna Karenina he could have ever imagined the legacy he would leave - or the film and TV adaptions of his stories. The newest adaption by BBC is set to be released this next Monday. After watching the trailer, I am already hooked! 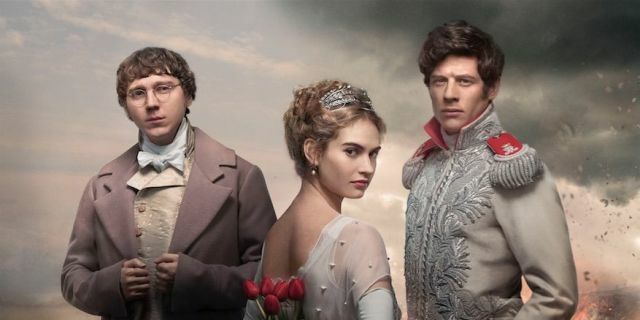 For those who haven't read War and Peace, one of the longest novels ever published, it is considered a central work of world literature. Though first released in parts in the Russian magazine The Messenger between 1865-1867, the full novel wasn't published until 1869. War and Peace describes in graphic detail events surrounding the French invasion of Russia and the impact of the Napoleonic era on Tsarist society. The story is told through the eyes of five Russian aristocratic families. BUT enough about the novel, let's get to this amazing series and what actors will bring to life the characters in the book. 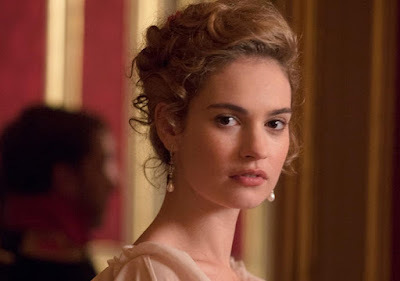 The first of this all-star cast includes the lovely Lily James, who plays the Countess Natasha Rostova. 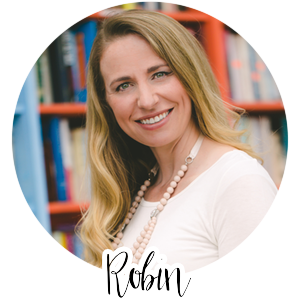 Though described in the book as "not pretty but full of life," this central character is a romantic young girl, impulsive and highly strung, but she evolves through trials and suffering to eventually find happiness. Anyone who saw Cinderella last year (or Downton Abbey), will argue that this woman is far from "not pretty" and she will surely be a highlight of the series. If the series follows the book at all, the main character would probably be Pierre Bezukhov, played by Paul Dano. You might recognize Paul Dano from L.I.E, Little Miss Sunshine, or Love & Mercy (Golden Globe Nominated). Dano plays Pierre Bezukhov, an ungainly and socially awkward illegitimate son of an old Russian grandee. Pierre, who was educated abroad, returns to Russia as a misfit. But his unexpected inheritance of a large fortune makes him a catch. 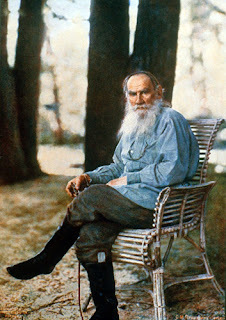 Pierre is the central character and considered the voice of Tolstoy's own beliefs and struggles. 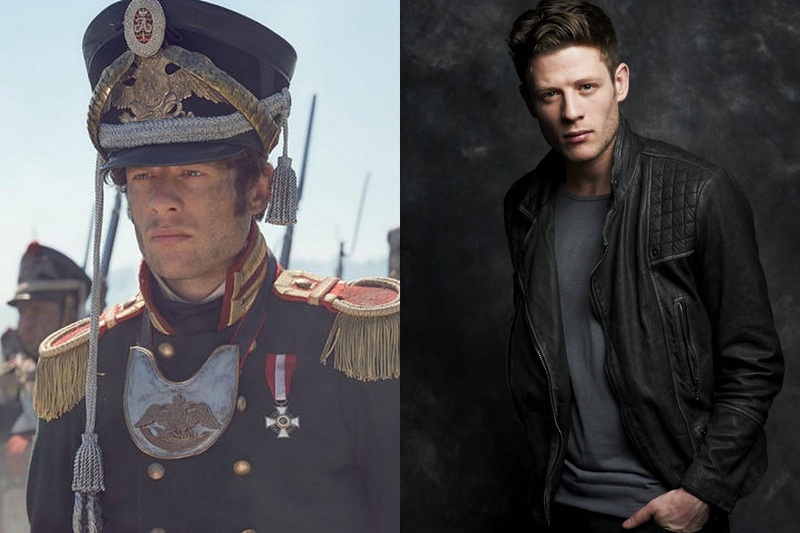 I think many a lady might just watch this show for the actor James Norton (which is why he get two pictures). Norton is a British actor who has played in many British movies and television shows, including most recently, Happy Valley. In War & Peace, Norton plays Prince Andrei Bolkonsky, the strong but skeptical, thoughtful and philosophical aide-de-camp in the Nopoleonic Wars. 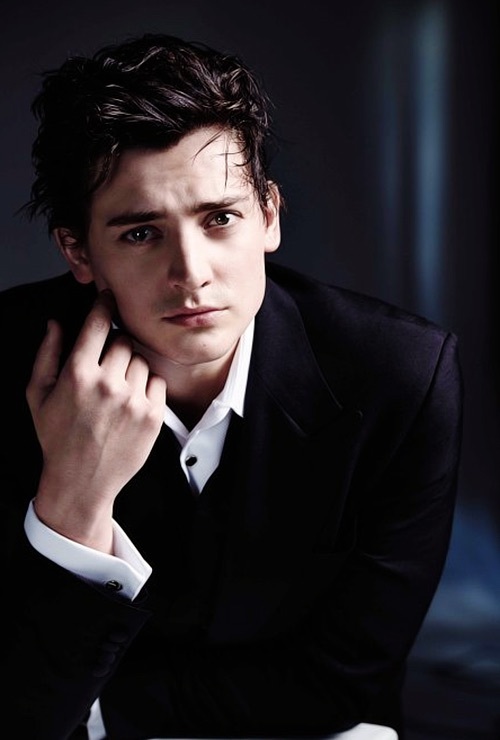 Boris Brubetskoy is played by Aneurin Barnard, known for his roles in Citidel (2012), Ironclad (2011), and The Truth About Emanuel (2013). Bernard's character is a poor but aristocratic young man who is driven by his ambitions, even at the expense of his friends. He ends up marrying for money instead of love. 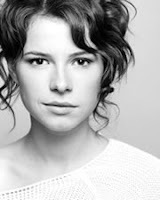 The role of Marya Bolkonsky is played by Jessie Buckley, an Irish singer and actress. Sister to Prince Andrei, Marya (Maria) is a pious woman whose eccentric father tried to give her a good education. Again, the text mentions her as having a thin and plain face, but her caring and nurturing eyes may make up for it. Other actors in the series include Olivia Ross, David Quilter, and Rory Keenan . To see a full cast list, go here. 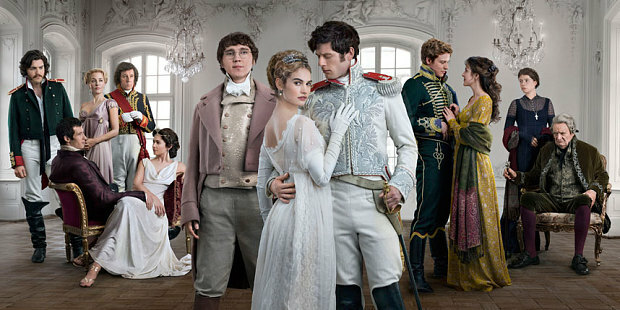 War & Peace will air on A&E, Lifetime, and History Channel in the US as four two-hour episodes, beginning January 18, 2016. 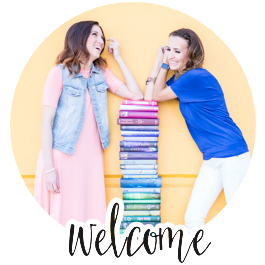 You'll have to let us know what you think and how it compares to the novel.